Business is good at SIU, according to Forbes magazine. SIU showed up on the magazine’s ranking of the top 50 entrepreneurial universities in the country. “Basically, it told us something we already knew. The entrepreneurial spirit is very strong here,” Jason Greene, College of Business interim dean, said. The rankings are based on the ratio of alumni and students that revealed themselves as founders and business owners on the social media site LinkedIn. Stanford received the top ranking and five of the top ten schools hailed from California. The other five were all northeastern schools. The only Midwest school to rank ahead of SIU was Northwestern University. The entrepreneurial spirit rises from many corners of the university. The college of business also partners with the Dunn-Richmond Economic Development Center at the Southern Illinois Research Park to give students hands-on business experience. 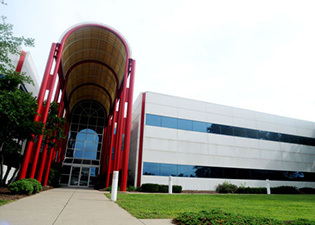 The center offers Saluki Ventures, which encourages students to start their own business while in school; the Saluki Innovation Lab, which encourages technological discoveries; Operation Mousetrap, which gives entrepreneurial training to scientists; the Small Business Incubator, which gives a jump start to new start-ups and the Illinois Manufacturing Excellence Center. “His group (Kyle Harfst) deserves a lot of credit for really tapping into that entrepreneurial spirit and facilitating students, in particular, but also engaging the region and helping folks with ideas bring them to fruition with a business,” Greene said. Greene hopes the ranking will bring more attention to what the university has been doing.